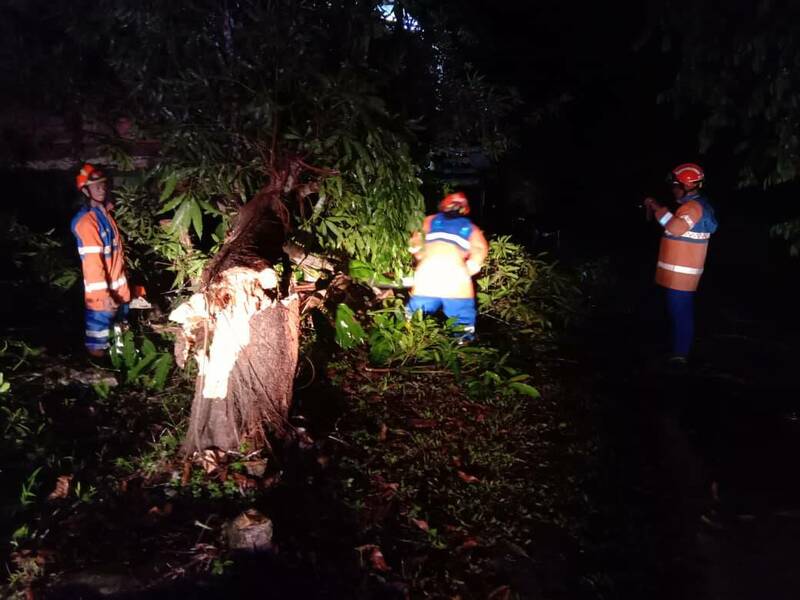 KUCHING: Malaysia Civil Defence Force (JPAM) personnel helped cut up trees which fell in Betong in several places. The personnel went there after receiving distress calls of trees falling in front of houses and buildings during stormy weather yesterday at about 8 am. JPAM personnel at work in Betong yesterday. JPAM personnel help cut up fallen trees 0 out of 5 based on 0 ratings. 0 user reviews.